As a buyer advocate you get asked “where is the best place to buy?” all the time. And then there’s the next question, “what type of property is the best for rental return and growth?” If I had a dollar every time someone asked me that one. In 700 words I won’t be able to give you all of my secrets, but I do have a formula that has helped keep my clients happy for the past ten years. You’ll have to follow my weekly Street Talk blogs on Street News to get the little bits of gold every week. Although I work in a number of areas in Melbourne, Geelong and Ballarat, I have a strong affinity for suburbs in the inner west. Apart from the strong enquiry and demand for my services in these areas, a number of property experts like valuers Herron Todd White mirror my sentiment at the coalface and predict strong growth in parts of the inner west. More recently, I had a client ask my opinion on various areas and property types in Melbourne. They had a budget of around $400,000. Having seen the growth in Flemington first-hand over the past few years, I felt their requirements and budget were suited to what this suburb has to offer. My belief is that Flemington is good value for money at the moment in this price range, when compared to similar properties in other suburbs, provided you pick the right property. This is the same rule I use for any area – just because the suburb is in high demand doesn’t mean there isn’t good, bad and ugly in terms of property buys, so be careful! 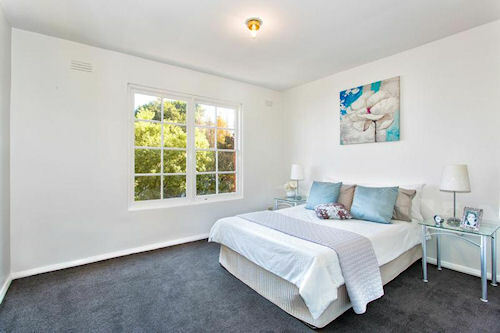 We found a 2BR apartment for this particular client in Dover Street, one of Flemington’s leafy and pretty streets, which caught my attention because of its location. I felt this property offered great appeal for an investor targeting a $400,000 price bracket. It was completely renovated, and had beautiful views of the trees and period style houses from every window. It was also only a short walk away from a train station and local shops and cafes. 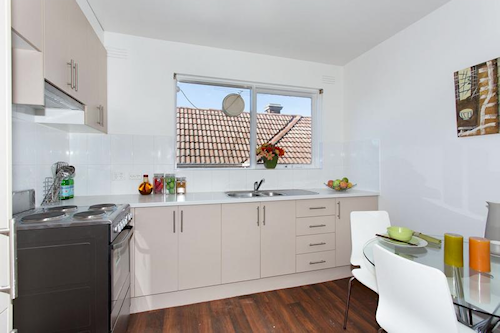 When investing, it’s important to consider that Flemington tenants seem to be renting for lifestyle, so knowing your tenant market is an advantage. A big plus for this unit was its proximity to Pin Oak Crescent, which boasts a fantastic little array of cafes and cute shops. One of my favourite meeting places is Pepper on the corner of Norwood Street. I’ve chatted to many clients out by the toasty warm fire in winter, or on the street out the front in the warmer months. When buying for a client it’s really important to analyse the market at that particular time. The purchase of this property highlighted the importance of understanding supply and demand in specific property markets. I find that what works in one month for one market and suburb could vary greatly at another time in another suburb and property type, so watch this when shopping for a home. Three months ago I may have chosen to go to auction with a high degree of confidence, but when I scrolled through the listings in Flemington and surrounds in the $350K-420K price band, the supply of quality boutique established property was quite limited. I could have waited out the last two weeks of the sales campaign for this great property and lined up with all of the other bidders at auction time, but instead, I chose to put forward a strong, fair offer in a limited time frame, and it paid off. 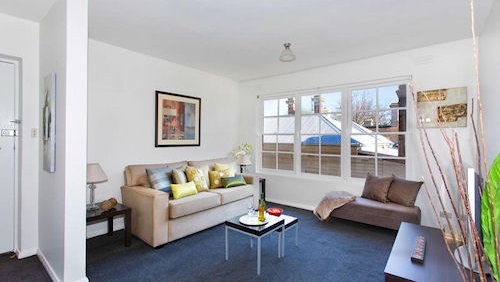 My happy investor secured a quality apartment at a price I’m confident would have been surpassed on auction day. As an added bonus, their prospects for finding a great tenant are strong – the area is a magnet for young professional tenants who value lifestyle, ease of access to the city and a generous collection of surrounding little café options. 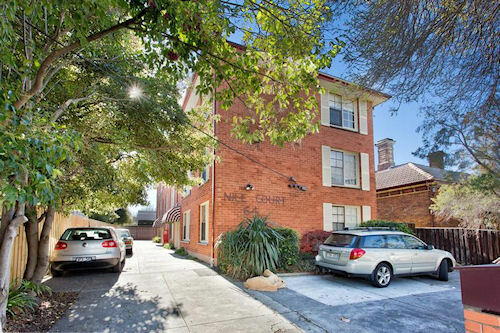 Nicely renovated, boutique apartments in these leafy and tightly held pockets typically offer gross rental returns around 4.2-4.5 per cent and sometimes even higher. Provided the asking rent is at market value, I also find the better the property, the better the quality of tenant.